Foley Johnson winery is located in the prestigious Rutherford AVA of Napa Valley. The winery is conveniently located on the east side of Highway 29 in Rutherford. Foley Johnson is a proud member of the Foley Food & Wine Society. As an FFWS member, you’ll be enrolled in our Society Points program. Receive points for every dollar you spend with The Society. Enjoy the latest releases delivered to your door. Club members receive discounts on wine and merchandise, and complimentary tastings for up to 4 people. Plus, you will receive complimentary tastings and a minimum 10% discount on wine and merchandise purchases at any of our Sister properties. For years, Bill Foley and his wife, Carol Johnson Foley, had dreamt of opening a winery bearing their name in Napa Valley. They both enjoyed the grandeur of Napa’s scenery and the rhythm of its lifestyle, and, more importantly, the couple loved the opulence and complexity of Napa’s wines. 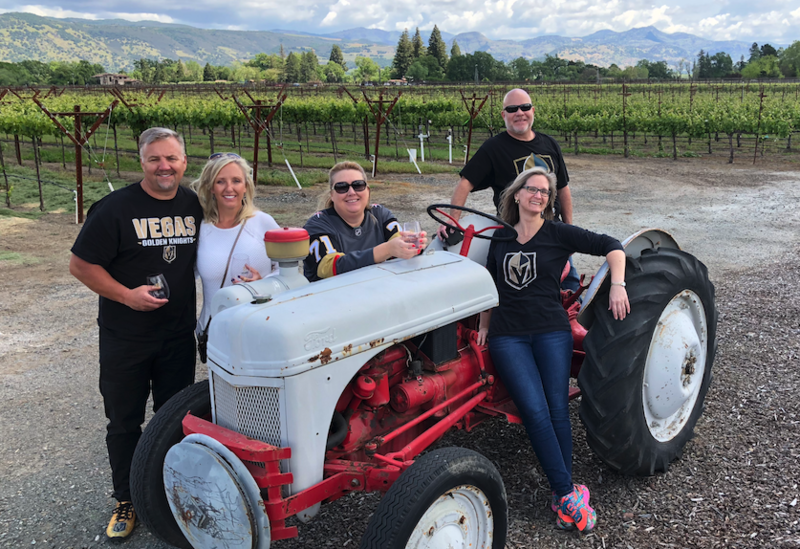 With the launch of Foley Johnson in 2012, the Foleys have created a world-class winery with premier vineyards and a historic tasting room right in the heart of America’s preeminent winegrowing region.